Handwriting analysis, or graphology, is the science involved in producing a personality profile of the writer by examining the characteristics, traits and strokes of an individual's handwriting. 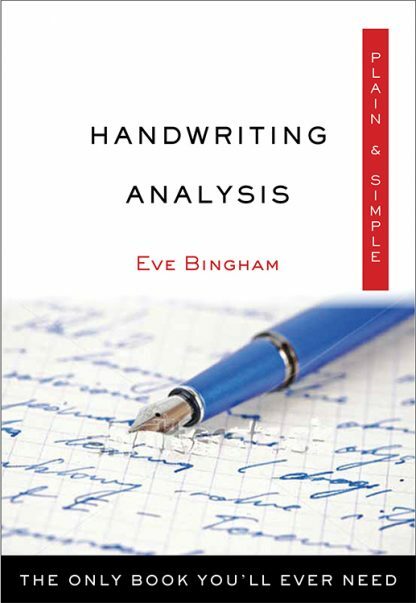 It seems impossible, but a trained graphologist can gather an astonishing amount of information about the writer just from analyzing their handwriting. Besides creating a complete personality profile, many other things are revealed in your handwriting, such as health issues, morality, past experiences, hidden talents, mental problems-- to name just a few. Eve Bingham has been the secretary of the British Astrological and Psychic Society for many years. She is extremely knowledgeable about all the psychic sciences, spiritual work, and spiritual healing and has had a successful career in these fields since the early 1970s. Eve has written many articles on mind, body, and spirit subjects. She lives in England.